This week's FCTV Exclusive features a Woods Hole Oceanographic Institution biologist leading a beachcombing trip at Wood Neck Beach in Falmouth. They find a handful of sea creatures, including one that got a little feisty. FCTV provides coverage of Nonprofit Awareness Day, a statewide celebration of the impact of nonprofits across the Commonwealth. Organized by the Massachusetts Nonprofit Network, this event took place June 8th at the Massachusetts State House. The seal feedings at the Woods Hole Aquariumare always a big attraction, but there was another reason crowds visited the site last week: Endangered Species Day. FCTV Exclusive: VIPS "Feast of Falmouth and Beyond"
This week's FCTV Exclusive features the Volunteers in Public Schools "Feast of Falmouth and Beyond" fundraiser. The event showcased a sampling of food from local restaurants, chefs and caterers to a hungry crowd. More... about FCTV Exclusive: VIPS "Feast of Falmouth and Beyond"
Not a great start for the Commodores as they fall to the Wareham Gatemen, 10-1. Catch all the action from the Arnie Allen Diamond at Fuller Field. 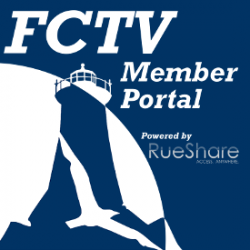 This week’s FCTV Exclusive takes a look at the FCTV Mobile Production Vehicle unveiling which took place at the Sea Crest Beach Hotel on Tuesday, May 26th. The June 2015 'FCTV Presents' is Online NOW! The June 2015 'FCTV Presents' is now available HERE! More... about The June 2015 'FCTV Presents' is Online NOW! Produced live at the Morse Pond Auditorium in Falmouth. Featuring candidates for Selectmen, Planning Board, School Committee, and Library Trustee. Moderated by Sean Corcoran. Statements from the Candidates for office for Board of Selectmen, Library Trustee, and Planning Board.